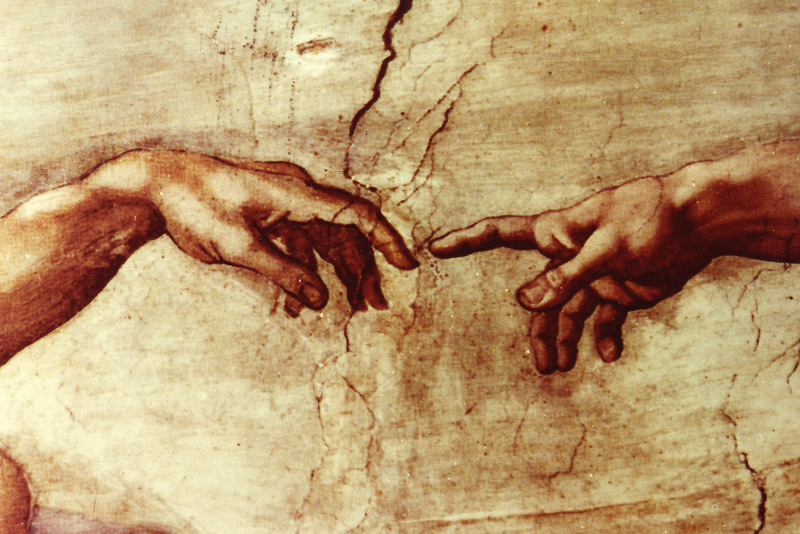 Note: This is part 2 of a conversation about God the creation and God's human creation. This duo of essays is part of a larger project intended to stir theological conversation among Disciples and beyond. Any theological conversation about creation must include a conversation about the creation of humanity, and the starting point for any such discussion is Genesis 1:26-30. This passage makes three key points: first, humanity has been created in the image of God; second, humanity was created as male and female, and third, God created humanity with a purpose—to take care of God’s creation. This passage, when taken together with the witness of Genesis 2, helps us understand God's intentions in creating humanity. The issues of dominion and what it means to be male and female can be best understood under the phrase “image of God.” This phrase has been understood in a variety of ways, often looking at certain qualities that humans are said to possess in contrast to the rest of creation—such as rationality or will. Other possibilities include the corporeal form of human beings— though that would seem to be precluded by the overarching biblical witness. Another possibility is the role of humanity as steward—as stand in for God. Whatever the exact meaning of this phrase, Victor Hunter has caught its essence: “Humans, created in the image of God, in relationship to the rest of creation, are to exercise beneficence, responsibility, and generosity to the whole of the created world” [Victor Hunter, “Creation,” in Chalice Introduction to Disciples Theology, (Chalice Press, 2008), p. 128]. Whatever we say about humanity, especially the idea that humanity is created in the image of God, must include the affirmation that image of God exists as both male and female. Thus, both women and men are given the task of stewardship of creation. There is the sense in both creation stories that relationality is important—that male and female together form community, a community that reflects the relationality that is within the Godhead. There is, in this first statement, no sense of hierarchy—just equality. But there is also recognition of differentiation within humanity, and that is good. We are not created as clones. In the second creation story, God reaches down, takes dirt, fashions from it a human being, and then breathes life (nephesh) into God’s human creation (Gen. 2:7). The idea that we are composed of a body with an immortal soul is more rooted in Platonism than in Scripture. The biblical view seems to suggest that humans have life only if they stand in relationship to God. This seems to be the message of the Fall and its effect on humanity (Gen. 3). The message is that sin brings with it separation from God, and with this separation comes death—first spiritual and then physical. In the first creation story, God creates humanity as male and female and gives them responsibility for caring for the creation. How we translate the Hebrew word rādâ in verse 28 of Genesis 1 has important implications for us. It is usually translated as “rule” (NIV) or “dominion” (NRSV), but as Terence Fretheim points out, the verb should be “understood in terms of care-giving, even nurturing, not exploitation.” [Fretheim, “Genesis,” in the New Interpreter’s Bible, (Nashville: Abingdon Press, 1994), 1:346]. Psalm 8 gives further definition to this call to be stewards of creation. This Psalm reflects the theology developed in Genesis 1:28, which outlines our responsibility as stewards of God's creation. We are not rulers but stewards responsible for the care of the creation by the one who has created all things. There have been numerous attempts, throughout history, to take the biblical witness and make sense of it by laying out a doctrine of humanity—a theological anthropology. Irenaeus and Augustine are two important ancient voices, which differ from each other and have important trajectories that can be of use in the modern discussion. In more recent times, and important for our conversation, is the view of Alexander Campbell, who imbibed John Locke’s view of humanity—the tabula rasa. The Lockean view, which is an expression of the English Enlightenment, has been influential, especially among Disciples. 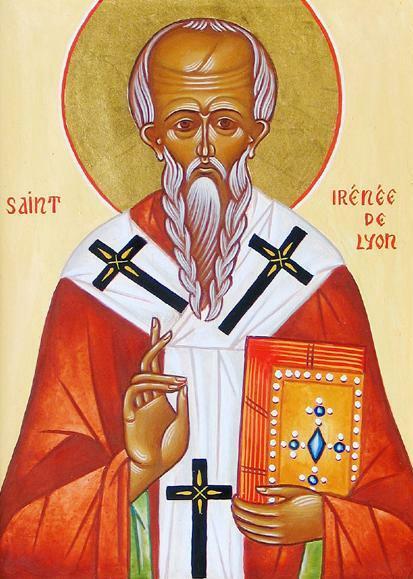 Irenaeus of Lyons was a second century bishop and theologian. He insisted that when God created humanity, humanity was created in the "image and likeness of God." God created Adam with free will and endowed him with reason. However, Irenaeus did not believe that Adam, being a creature, was endowed with divine perfection. In fact, God created Adam as a child, morally, spiritually, and intellectually. While God could have created a perfect human being from the start since God can do whatever God wants, Irenaeus insisted that God's creation had to be less than him because humanity has a beginning. Because they [humanity] come later, they are immature; as such they are inexperienced and not trained to perfect understanding. A mother, for example, can provide perfect food for a child, but at that point he cannot digest food which is suitable for someone older. Similarly, God himself certainly could have provided humanity with perfection from the beginning. Humanity, however, was immature and unable to lay hold of it. [Irenaeus, Adv. Haeresies, 4:38.1]. Thus, God intended that Adam would through time, by the grace of God, freely chose to move toward a greater resemblance to his creator. For Irenaeus, God created Adam and Eve with the potential to grow into the fullness of his image. Through this system, such arrangement, and this kind of governance, humanity was created according to the image and established in the likeness of the uncreated God. The Father decided and commanded; the Son molded and shaped; the Spirit nourished and developed. Humanity slowly progresses, approaches perfection, and draws near to the uncreated God. The perfect is the uncreated, God. It was therefore appropriate for humanity first to be made, being made to grow, and having grown to be strengthened, being stronger to multiply, having multiplied to recover from illness, having recovered to be glorified, and once glorified to see its Lord. God is the one who is going to be seen; the vision of God produces incorruptibility; incorruptibility makes a person approach God. [Irenaeus, Adv. Haeresies, 4:38.3 in J. Patout Burns, Theological Anthropology, (Philadelphia: Fortress Press, 1981), pp. 23, 25. J.N. D. Kelly, Early ChristianDoctrines, rev. ed., (San Francisco: Harper-Collins, 1978), 171-72]. Irenaeus’s vision has a modern sensibility to it, one that might fight nicely with evolutionary theory of development. But, humanity is fallen and cannot rectify that situation. Indeed, even in childhood there was no innocence. He looked back and saw himself lying and cheating and stealing. What to make of this? [Augustine, Confessions, 39-40]. His view of humanity was framed by his own experiences in life—his own struggles— which gave him a rather realistic or perhaps pessimistic view of human life. That view was further developed in large part due to his debate with Pelagius, a British monk, who insisted that humans not only have free will, but they could live without sin. Whereas Augustine reflected on the Fall of humanity, Pelagius emphasized the goodness of creation and assumed that this goodness was achievable, even after the fall. In time, Pelagius’ optimistic view of humanity was rejected as heretical, largely due to the force of Augustine’s arguments. Campbell believed that God created Adam as a fully cognizant adult, with his reason and senses fully matured. He speaks of "credulity" being foundational to the human person; that is humans can believe and assent to testimony. Without this ability, education and progress would be impossible and the human person would be no better than other lower animals. [Robert Owen debate in Humbert, Compend, pp. 204-5]. He also distinguishes between the soul and the spirit. The soul is, according to Campbell, the "animal life," that is passions, instinct, and appetite. These aspects of animal life, Campbell believed, are not only shared with the animals, but perish with the body at death. The Spirit, on the other hand, never passes from existence and is "the seat of reason, understanding, volition." He writes that the spirit “discriminates between the true and the false, the morally good and the morally evil. It approves and disapproves. It loves and it hates—on rational, moral, and religious grounds, acts and reasons” [Millennial Harbinger, 1858, in Humbert, Compend, pp. 206-7]. Finally, Campbell sees humanity as created in the image of God. Image is understood in a variety of ways, but he does provide a Trinitarian development of image. He notes, as did Augustine, that God is both one and plural. The same is true with humanity, who is one (a person), and yet plural (body, soul, spirit). None of the older theories of human creation would past psychological muster today. Yet, they do have theological resonance. 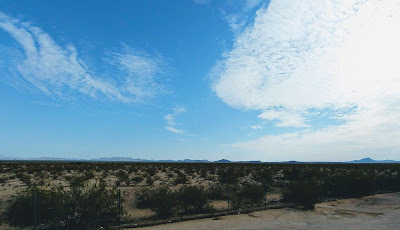 They help us understand the connection between bearing the image of God The key issue in the Christian doctrine of creation of humankind concerns being created in such a way so as to bear the image of God. If we understand humanity to have been created as good—whether perfectly mature or immature but innocent—then we have a better platform to understanding the nature of sin and free will. If, as Scripture teaches, humans reflect the personhood of God, then we possess at least a resemblance of what makes God God. That is freedom, creativity, rationality, the ability to act.